As if the market hasn’t been choppy enough, we are now rolling into May. This is seasonally a weaker period for stocks. So should you sell in May and go away until Septemeber like the old trading adage advises? The S&P 500 stock index has risen 1.5%, on average, in the May to October period since 1950 versus a 7.1% gain for the profitable November to April stretch, LPL Financial says. However, I recommend thinking less about the saying and more about the specific stocks. Of course, you are not going to sell your strongest holdings whatever the month. That’s where this stocks to sell list comes into play. Regardless of whether it is May, August or September, I advise cutting loose from the following five stocks. Crucially, I am not alone in my bearish take on these stocks. According to TipRanks’ data, all these stocks have a bearish outlook according to the Street. Campbell Soup Company (NYSE:CPB) may be ‘the world’s most iconic soup company’. But soup sales are struggling and there is no easy fix in sight. Indeed, US Soup sales for fiscal 2Q18 came in 7% lower than the same time last year. Meanwhile rising metal costs means it is now more expensive for Campbell to manufacture soup cans. Out of all the food companies, Trump’s metal tariffs are especially damaging to Campbell, says Credit Suisse. This is certainly how the Street seems to be feeling. Campbell is a ‘value trap’ with a ‘stretched’ balance sheet, according to Goldman Sachs analyst Jason English. He has just reinstated CPB with a bearish Sell rating and $43 price target. Most worryingly, English suggests that due to the Snyder deal and low net income, there will not be enough free cash flow to fund the dividend and debt maturities in the next 3 years. If Campbell can not sustain its prized dividend this would be a serious blow to both the company and investors. Overall, the Street consensus on Campbell stands at a Moderate Sell with more Sell ratings than Hold or Buy. Unless you are a sucker for risk and volatility, it’s better to watch from the sidelines as far as controversial auto stock Tesla, Inc. (NASDAQ:TSLA) is concerned. The company has just announced that it missed 1Q production targets. Tesla reported 29,980 Model 3 vehicle deliveries in the first quarter, a far cry from the Street’s forecast of 36,523. And top-rated UBS analyst Colin Langan fears that the worst is yet to come. 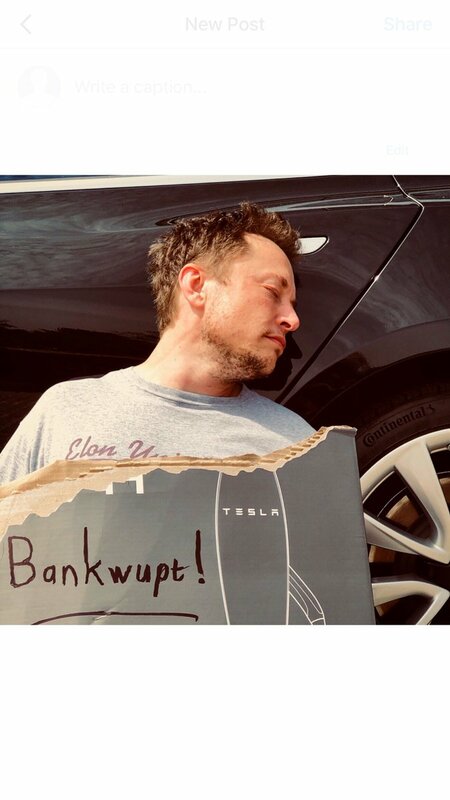 He has a Sell rating on Tesla with a bearish $195 price target (35% downside from current share price). Even the sustainability of the current 2,000 per week exit rate for the Model 3 in Q1 is under threat. According to Langan, the company faces further setbacks as it ramps up production due to plant downtime and the removal of an automated production line. Production problems impact both profits and cash flow- placing stock multiples at significant risk. “We think the changes to the automated line at this late stage are concerning and raise questions about the viability of the 10,000-per-week target and TSLA’s long-term goal of ‘reinventing the machine that makes the machine,’” commented Langan. Even more worrying are the damaging blows to Tesla’s reputation from reports of low-quality products and Autopilot flaws. Back at the end of March, Tesla confirmed that its self-driving Autopilot was turned on in a fatal crash in California. The crash is now under investigation- which could reveal significant technical problems with Tesla’s autonomous driving systems. Meanwhile, the playing field is leveling. Competition is coming for TSLA warns JP Morgan analyst Ryan Brinkman. “We highlighted competitive risk from German luxury automakers following our recent Europe Autos Trip … including from automakers looking to use the sale of battery electric vehicles to subsidize their more lucrative internal combustion engine portfolio vehicles from a legal, regulatory, and compliance perspective” writes Brinkman. If you haven’t heard of Bed Bath & Beyond Inc. (NASDAQ:BBBY) before, you have now. BBBY owns a chain of retail stores across the US, Puerto Rico, Canada and Mexico selling household goods. While the stock once boasted a market-leading valuation with a strong brand portfolio, the company has now reported 25 straight quarters of gross margin compression. As a result, share prices are down over 50% in the last year — and the outlook for the rest of 2018 doesn’t look encouraging either. With consumers rapidly turning to online shopping, BBBY has no buy ratings but plenty of hold/sell ratings. TipRanks gives BBBY an analyst consensus rating of Moderate Sell. Wells Fargo analyst Zachary Fadem has just resumed coverage of BBBY with a Sell rating. His bearish $16 price target indicates 8% downside from current levels. “BBBY has become the epitome of secularly challenged retail (i.e., Amazon-threatened), with sluggish top-line trends, intense competition and falling margins the basis for our Underperform rating” explains Fadem. This is particularly compelling advice when you consider that low margin and profit visibility and high reinvestment needs could ultimately place the company’s attractive dividend yield at risk. 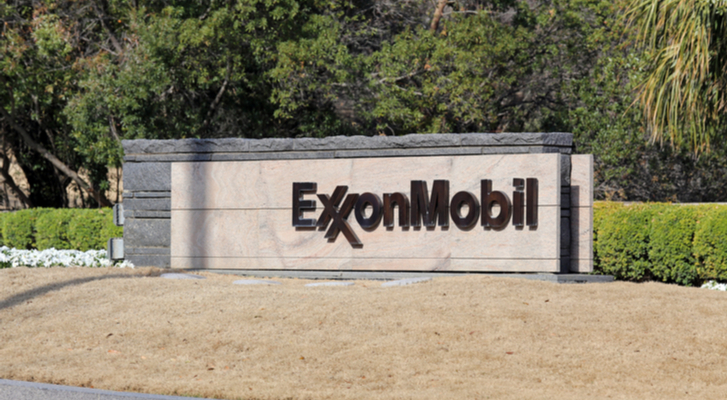 I recommend selling Exxon Mobil Corporation (NYSE:XOM). Why? Because rival Chevron Corporation (NYSE:CVX) is a much wiser and safer bet. Although both companies reported mixed earnings results, a closer inspection reveals far muddier waters at Exxon according to Barclays’ Paul Cheng. This four-star analyst has just reiterated his Sell rating on XOM on May 30 without a price target. For the quarter, Barclays reported strong core exploration and production earnings of $3.5 billion. This actually topped the expected figure of $3.2 billion. However, Cheng is quick to point out that this beat is misleading. The results were boosted by $366 million delivered from asset sales. Without these additions, the adjusted upstream result comes in at $3.1 billion. And at this level, the EPS would have dropped below $1. “(Exxon’s) underlying upstream fundamentals appear to have suffered a structural deterioration, due in large part to two massive, ill-timed, low margin and extremely expensive investments,” writes Cheng. He is referring to the $36bn acquisition of natural-gas producer XTO Energy and its Kearl oil-sands project in Canada. “Essentially, 1Q18 results are implicitly revealing the issues (Exxon) is facing with the status quo of its upstream portfolio,” Cheng concluded. Right now the overwhelming Street take on XOM is cautious. As you can see from the screenshot below, XOM scores three recent hold ratings and one sell rating. With share prices falling, the average analyst price target of $82 now stands at 8% upside from the current share price. 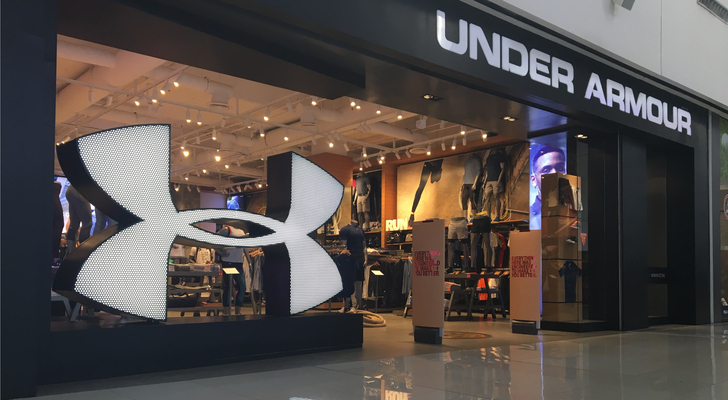 If you were waiting for Under Armour, Inc.’s (NYSE:UA) turnaround story to materialize, give up now. The stock is a ‘ticking time bomb’ says top Susquehanna analyst Sam Poser. He is out with a very troubling report on UA following a first look at the company’s 1Q earning results. He has a Sell rating on UA with an $11 price target (31% downside). Although UA beat on both revenue and estimates, the gross margin decrease of ~60 bps was worse than expected and inventories grew ~27%. Furthermore, 2Q18 EPS guidance of (9 cents)-(10 cents) was below consensus due to rising spending and falling profit margins. According to Poser, “UA will not achieve FY18 guidance despite the fact it was maintained, and FY19 Street estimates are too optimistic”. He is not alone either. Canaccord Genuity analyst Camilo Lyon sees the stock plunging 44% to $9. “The lack of creative direction is troubling as North American wholesale is likely years away from returning to growth,” writes Lyon. He continues “discussions with our factory contacts and retailer network support our assertions that there is virtually no new innovation on the horizon.” Lyon notes an exodus of key executives, including the head of footwear. Even the designer of Under Armour’s hit sneaker, the Curry 4, is now at Nike, Inc. (NYSE:NKE). TipRanks offers investors the latest insight into Crypto via its powerful CoinWatch platform. As well as stocks, TipRanks tracks the market activity of over 40,000 financial experts. As of this writing, Harriet Lefton did not hold a position in any of the aforementioned securities. 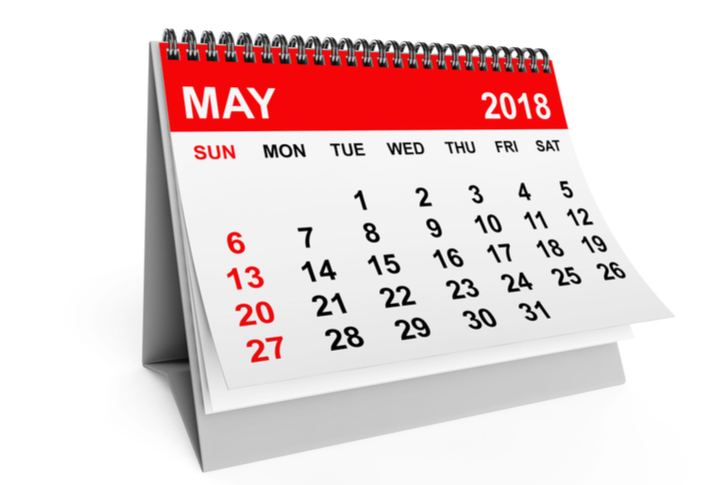 Article printed from InvestorPlace Media, https://investorplace.com/2018/05/stocks-to-sell-in-may-and-go-away/.